Cummins has a reputation that is earned by reliability to ensure satisfaction which helps develop longer lasting partnerships. 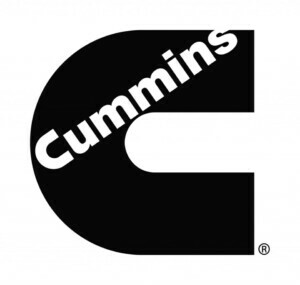 Today, Cummins is a multinational Fortune 500 company that continues to serve customers worldwide in the areas of engines, power generation, components, and distribution. Renowned for their manufacturing standby power units, Cummins has a wide variety of quality power generation systems that is the epitome of rugged dependability with reliable and electrical performance. With over 90 years of experience in power generation and an extensive global distributor network across 190 countries, Cummins Power Generation is ready to match the generation power that you need, whether you require continuous, peaking, prime, or standby power. Cummins generator sets are available in a range of sizes to meet any application of your requirement. They are able to start and assume load in less than 10 seconds, and rated load in a single step. Cummins is the only on-site power equipment company to develop and manufacture combined power generation, power transfer and power control products and expertise all under one company. Because all of the major components of the generator are all designed by one manufacturer, all of the elements of Cummins’ power generation system work in harmony from the start. One of Cummins’ commitments is to meet or exceed clean air standards worldwide. Cummins ensure that their generator sets will always meet U.S. EPA and EU emissions standards. So if you or your company is concern about the environment, we recommend Cummins Power Generation because they tend to focus on low-emissions technology.